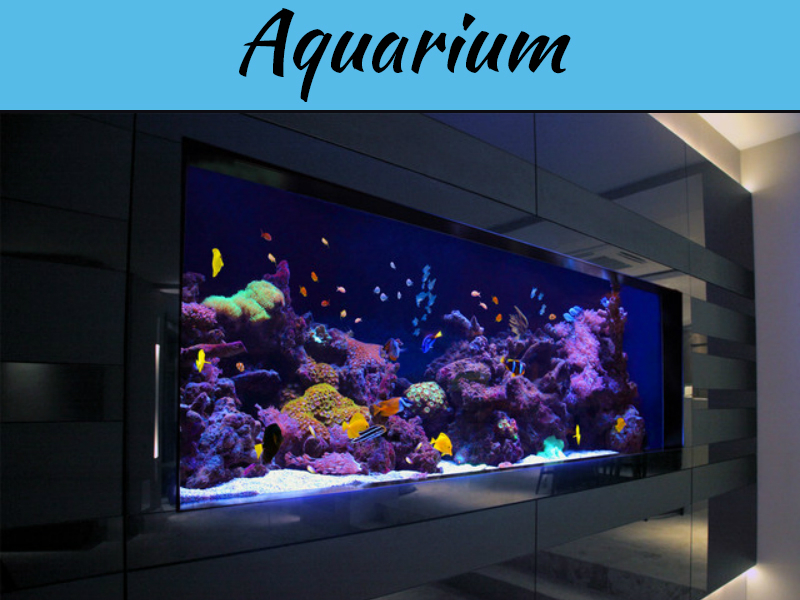 When you are starting with a new aquarium, there is a lot to learn and take into account, so it’s essential to choose the right fish for your tank. There is much tropical freshwater fish to choose from but some have more complex care requirements than others, so we have selected the top five which you should include, for their colours, looks and also how easy they are to care for. Make sure your aquarium is fully set up with the correct water balance, temperature and all the plants and decorations are established before you decide to start looking for fish, that way when you buy them it will be a straightforward transition into a prepared aquarium. If you want a lively, vibrant tank full of colours, then guppies are the fish for you. They are tiny fish though so if you mix them with larger fish, they are likely to be eaten. There are many different types of guppies in all sorts of colours, but they are categorised by having a tiny body with very long and flowy fins. 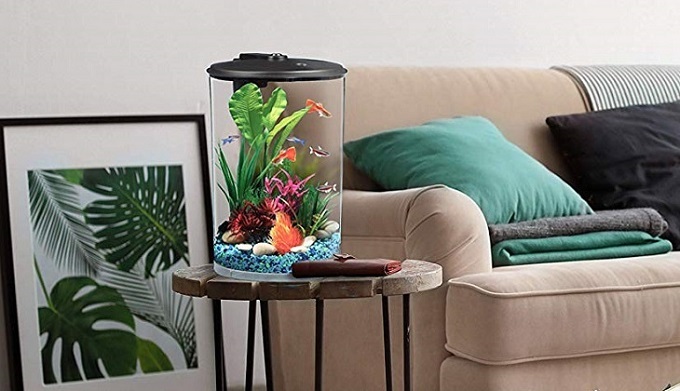 If you are looking to create a very calming, tranquil aquarium they would not be the right choice as they are incredibly active little fish, but they create beautiful colours, and some people choose to fill the whole aquarium with guppies. They bear live young so if you do want them to look out for babies in your tank as well. Similar in size to guppies, neons are very popular because of their vibrant colours and how easy they are to care for. They need to be kept in schools so a minimum of at least six together, preferably more than six. They rarely grow longer than an inch, so it’s easy enough to have a number of them and in a relatively small tank. If the water quality is low or you don’t have enough to create a proper school, they can become aggressive towards each other, so it’s essential to maintain the numbers and water quality. Don’t keep them with bigger fish or they will get eaten. Cory catfish are small catfish which scavenge the tank for leftover food and will be found along the bottom of the tank, eating the debris and plants from the aquarium floor. 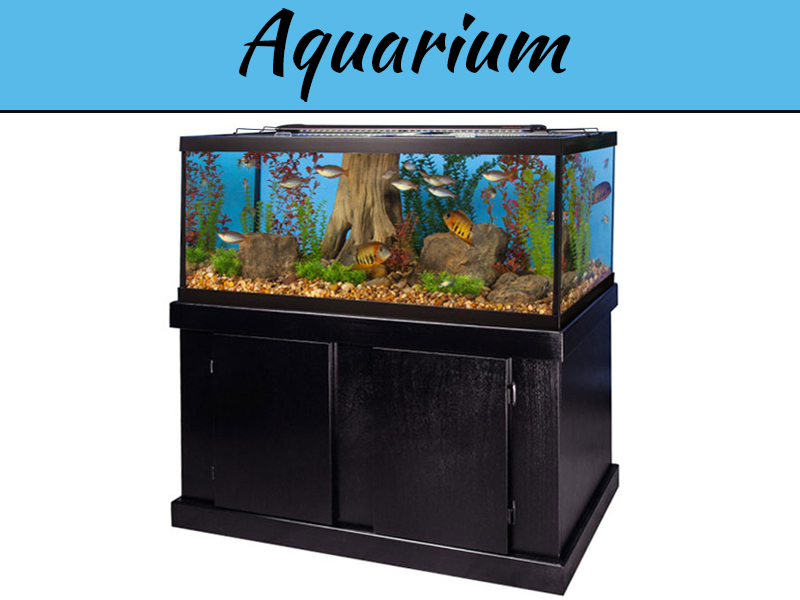 There are many different species which are all very popular with new aquarium owners as they help to keep the tank in good order and have a quaint armoured appearance. They need to be in a school so again, you will get at least six of them together as a minimum, and they generally grow to between two and three inches long once fully grown. There are a few different types of danio fish out there, and you will come across some with spots, but the zebra danio is so-called because of the stripy black and white body. They grow to be around two inches long and need to be in a school in the tank. They are short-finned, but there are longer finned danio breeds available so you could select a variety of different danios for your aquarium. They are a beautiful vibrant little fish which add to any aquarium set up and are very lovely to look at. Platies have an inquisitive nature and are highly active fish, making them fun to watch, and they also bear live young so keep an eye out for babies if you have a school of them in your tank. They are not aggressive, but their curious nature can mean they annoy other fish sometimes by accident. There are various colours and markings with plates, and there is even one which has markings on its tail that look just like Mickey Mouse, which will no doubt keep the children entertained if you have a school of them. These top five tropical fish are all small, calm and easy to care for and will bring vibrancy, colour and vigorous activity to any aquarium. They are the perfect starter tropical fish for any aquarium enthusiast and will delight everyone who comes to visit. There are many more varieties of tropical fish available; of course, these are just a selection of some of the most popular and easy to look after types to give you a starting point for your home aquarium.